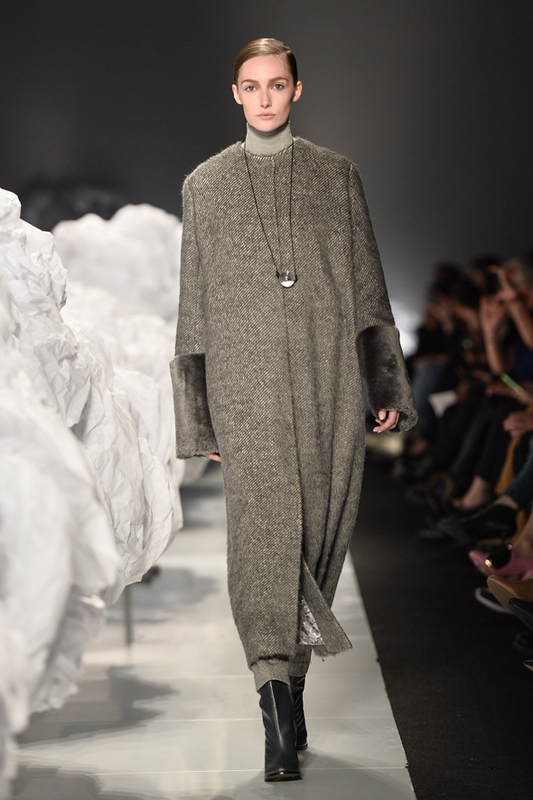 Last week, World MasterCard Fashion Week (WMCFW for short) took over David Pecaut Square for its fall/winter 2015 shows. The week-long spectacle showcased hundreds of men's and women's fashion by Canadian and international designers alike. Atelier Wonder and Hayley Elsaesser were inspired by subcultures; Mikhael Kale and Vawk took cues from the past; and Pink Tartan teemed with military vibes. 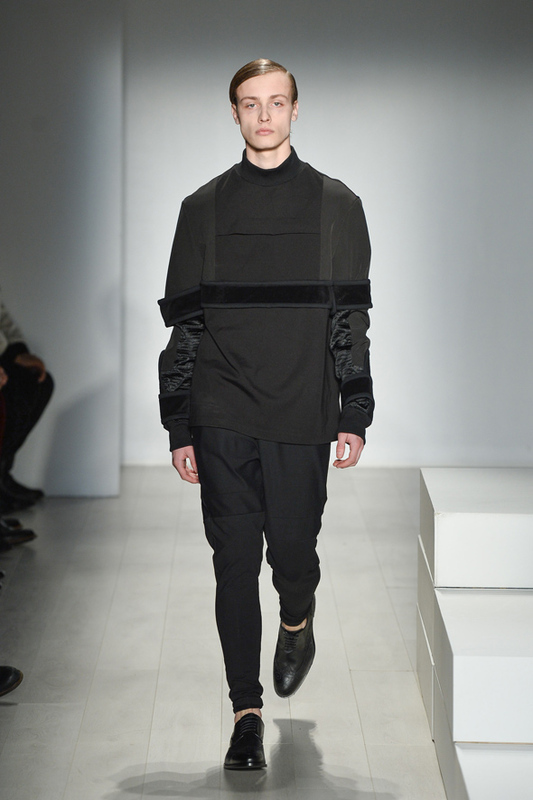 Here are my picks for the top looks from the latest installment of Toronto Fashion Week. In a collection inspired by Giorgio Moroder's feature in a Daft Punk song, Mikhael Kale sent a coat that's extra long, oversized, shiny, furry, and embellished down the runway. It may be over-the-top, but the colours and textures work so well together you forget how outrageous it is. Helder Aguiar and Diego Fuchs have a very distinct aesthetic - clean, sharp, and (more or less) colourless. Half of this little black dress is made with metallic pleats and finished off with a solid belt - proof that minimalism can be impactful though simple. 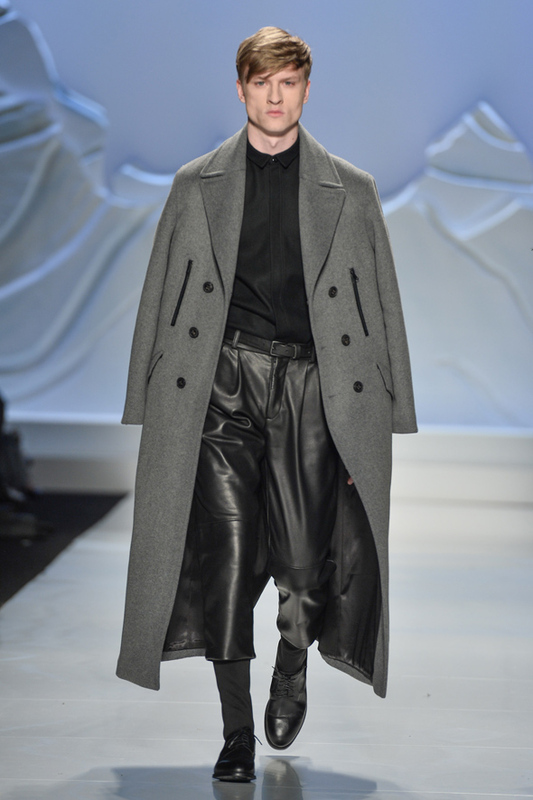 Emeric Tchatchoua and Raymond Cheung of 3.PARADIS repped men's street fashion during WMCFW with their off-kilter - yet wearable - designs. The duo married minimal and avant-garde flawlessly in this all-black look, mixing textures and shapes in place of colour. 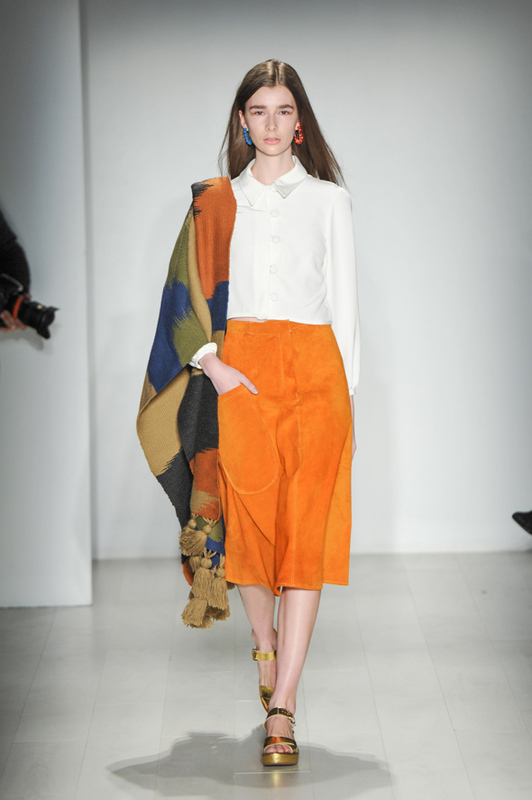 This look has all the makings of a strange outfit: orange suede, dated oversized buttons, mismatched earrings and something that can double as a throw. However, Edmonton-based Malorie Urbanovitch made it work by playing with proportion and just the right amount of colour. Mikael D finished the week off with two dozen showstopping dresses, including a handful of enormous ball gowns. However, the look that really caught my eye was a body-hugging black number with strategically-placed cutouts - a design that would seem done to death save for the tattoo-like illusion beading floating on the model's skin. 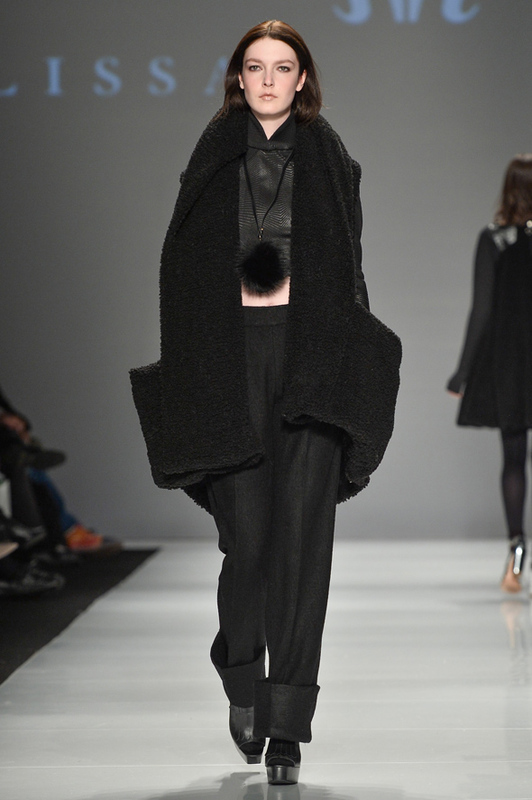 Montreal designer Melissa Nepton is the queen of drapery; her pieces fold and flow like liquid. In this all-black look, the in-your-face coat is the main attraction, but the tailored wool pants deserve just as much credit. Narces opened with a new take on the '60s shift. Though the rest of the collection looked nothing like it, this dress stood out with its futuristic metallics and peeks of sheer. Leave it to Mackage to make leather culottes look practical! Turtleneck maxis and furry sleeves are usually a no-no, but I'd definitely wear this coat/dress situation from Pink Tartan. It looks cozy. Sid Neigum never ceases to amaze with his architectural garments. 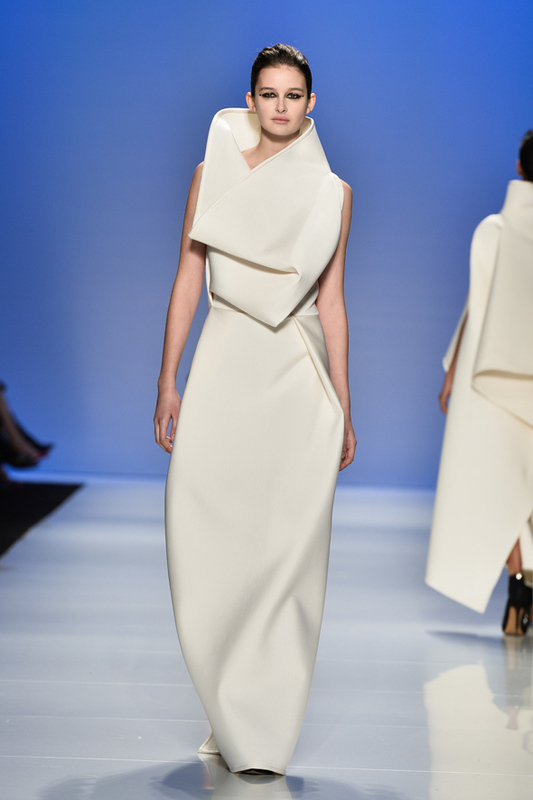 This time around, he used subtly pleated white fabric to form a gawk-worthy origami dress. Did I miss your favourite? Let me know in the comments. Photos courtesy World MasterCard Fashion Week.